Art accompanies on the journey of life and fills in the cracks of time. Stories comfort, soothe and cause mini-revolutions in our hearts. Music weaves in and out of our celebrations and record our silent moments of reflection. We invite our artists to write the words of our hearts, and give us music to express what we cannot say with words. A calendar year is no way for me to measure the art that has defined me in a year, so my best of lists are instead the art, the stories, and the music that I discovered during the year, and that are threaded through my days of 2010. 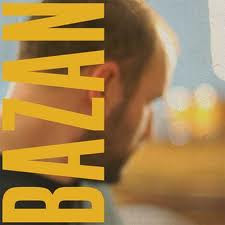 The way I listen to music is this: I find an album, I find a song and then I listen to that song about a million times. Slowly I branch out and discover each song in that way. So in the end, I don't actually listen to that much different music and I spend a lot of time with what I like. 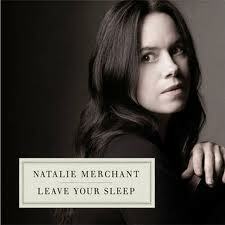 Again, this is the music I loved this year, not necessarily released this year. I cannot remember the last time listening to an album made my heart want to explode and my feet want to dance, in the way the folksy energetic Mumford and Sons do. Lyrics heavy with literary influence and spiritual openness create a point of connection for me even if the writer and myself are coming from completely different places. Sigh No More feels dramatic in the way I love drama...no land of in-between an all or nothing place. It's absolutely no wonder I love them. Many a day listening to Mumford and Sons has just made me a little bit happier and brought me outside of myself. 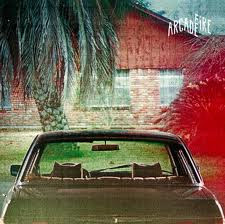 Listening to Arcade Fire is like listening to the perfect kind of music that I love. It evokes all of the exact right feelings, nostalgia, longing, wistfulness, restlessness. I love this album, love it. I've seen more than one person refer to it's dystopic nature. Well that explains a lot. I haven't had as much time to think about the lyrics as I'd like, but I can say wholeheartedly that I love this album, and I've probably listened to Sprawl II (Mountains Beyond Mountains) at least 450,000 times. A friend recommended this shortly after I lost my job at the beginning of this year and wow. What resulted was pure and utter obsession for days. There's a quality to this music I can't explain, a sort of beauty that reaches me in a very unique way. In fact, I remember tweeting one morning while listening that some songs are so beautiful that I wish I could crawl inside and live there. 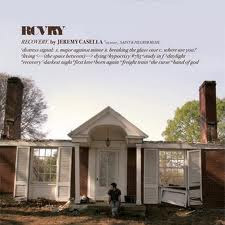 And the title probably speaks a lot to just how perfect these songs were for me when I was feeling utterly down and uncertain (a feeling that has persisted to varying degrees throughout the year) Jeremy Casella is an artist of faith and his very honest approach to life and faith has been exactly what I've needed many times throughout this year. I know you all knew this would be on here. 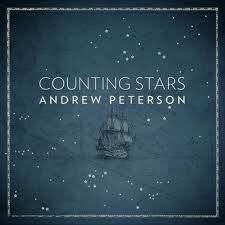 Counting Stars is the latest release from Andrew Peterson. I may have mentioned him a time or two. Love this album. Counting Stars is beautiful, hopeful, and rich. Listening to an Andrew Peterson album is always like being reminded of what matters in this life, his music is gentle and inspiring without ever being saccharine or trite. His lyrics are infused with the stories of everyday life, laced with literary allusions, and beautifully point to deeper reality. I think out of all of his albums Counting Stars has the most commercial appeal and while not my favorite of his albums (that will probably always be The Far Country), I love it very much. A definite highlight of this year was the album release party that kicked off Hutchmoot this past summer. Who is lately full of questions about you"
I just think that God will always be in my life, I've said before I don't know how not to believe, even when I believe, I am still, deep down, believing. I can only imagine how painful this CD was to Bazan's family. It's unflinching and the music is very catchy as well. A gorgeous two CD set, a love letter to poetry is exactly that..poems set to music. It's absolutely delightful--different poetry styles and different musical styles are represented here. While focused on motherhood or childhood, this collection is really for everyone. So...that's the music that was significant to me this year. What music saw you through 2010?